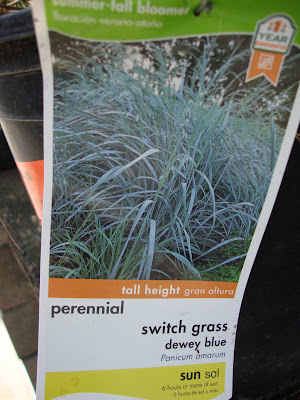 Panic Grass! 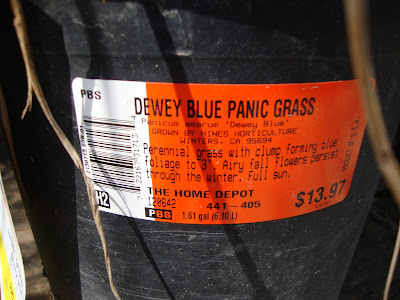 “Dewey Blue Panic Grass” at that. Wow, how I would love to work that into a garden conversation. 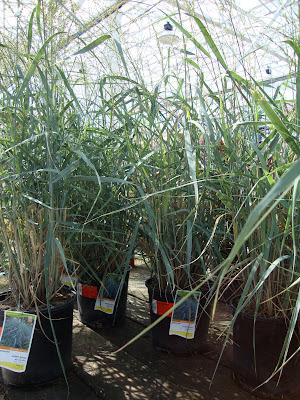 Panicum amarum even sounds fun. Have you ever been tempted to purchase a plant simply because of its name? Why, yes, I have, several times. 'Pam's Pink' Turk's cap, which I had to get for obvious reasons. Also, squid agave, sharkskin agave, and 'Whale's Tongue' agave---under the sea! I was not only tempted but fell for them and couldn't be happier to have them in my garden. Osteospermum fruticosum! Doesn't it just roll over the tongue in the most amazing way? Pretty, too. Pam, a whole under the sea agave collection! I love it! I just realized. I am a total sucker.